This list is provided as a service to those wishing to interview someone or invite someone to speak–besides Elaine Aron, who is often unavailable–on the subject of high sensitivity. (Its scientific name is sensory processing sensitivity; it is not related to Sensory Processing Disorder). 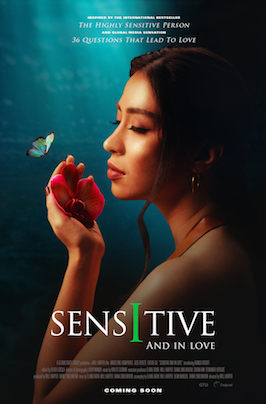 Languages and Specialties: Those below all speak English, but after their name and credentials there may be listed other languages they speak (italicized), meaning they can also discuss sensitivity as it manifests in that culture. Each has their own specialties (a selection of these are highlighted in italics) and some have written books on those specialties (also in italics). Background: While this is only a selection of those who might speak on the subject of high sensitivity, most of this group has taken a workshop in 2018 with Elaine Aron on the latest research and other relevant topics (e.g., best definition of the trait, its evolutionary history in humans and other animals, its relation to various disorders and to introversion, shyness). A few others listed are active researchers. Because those listed below will be kept current by Elaine, they are your best resource. 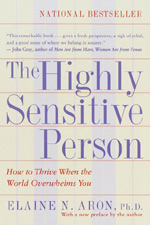 Note: HS = highly sensitive and HSP = highly sensitive person. Else Marie Bruhner. Adult Educator. Swedish, French. Gives courses and conferences on the HS trait in general and related research, explaining the trait’s functioning and how it affects our private and professional life. Special interest: HS and giftedness. Hypersensible… Et alors? (in Swedish, Högkänslig … än sen då?) www.hsperson.se. Scott Clausen, MBA, Adult educator and 25-year corporate leader. Currently serving as Principal for Amazon’s emerging healthcare division. Chief developer of high performing individuals and teams through a temperament management style as viewed through the lens of HSP awareness and validation. Passionate about seeing men and especially HS men in the corporate environment embracing their temperament gifts as a foundational leadership principle. Teresa Tillmann, M.Sc. German. Psychologist, researcher and cognitive behavioral psychotherapist for children and adolescents, in training. Working on PhD, topic is HS teachers and in a clinical context with a focus on specific characteristics of HSPs that promote wellbeing. Visiting researcher with Elaine and Arthur Aron, working on various research projects. Translated and validated a shortened German version of the HSP-scale for adolescents. Gives talks and workshops , scientific and non-scientific. Spokesperson for the scientific research for German HS association. Aims to make research findings more accessible through this webpage: https://www.sensitivitaet.info/). Interviewed in Psychology Today, NBC TV and PBS radio. Annet de Zwart, Life Coach, ACC, ELI-MP. Dutch. Coaches HS adults and teens/young adults to help them have “a more successful and satisfying life.” annetdezwartlifecoaching.nl (Dutch) and highsensitivecoaching.com (English).